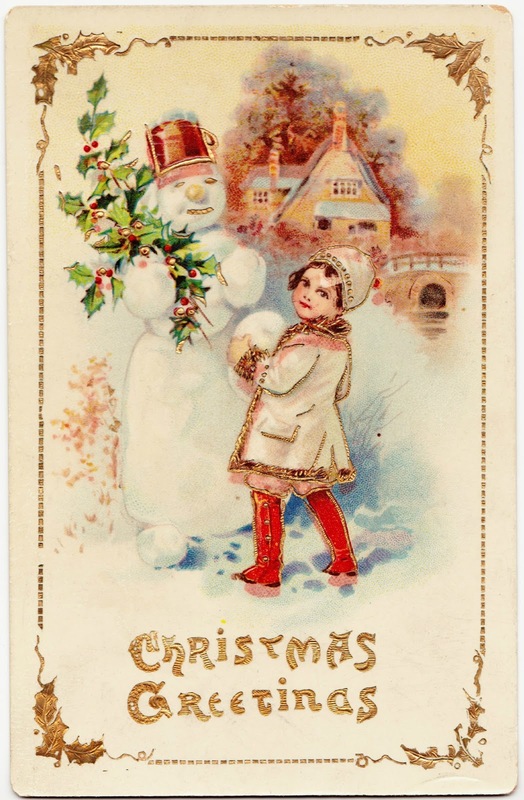 This vintage Christmas postcard features a cute little girl with knee-high red boots hanging out with an snowman who has a branch of holly and hat that looks like a brass bucket or pitcher. My card is dated December 22, 1915.1 It wasn't mailed, but it was addressed simply to "Ethel Deibler." 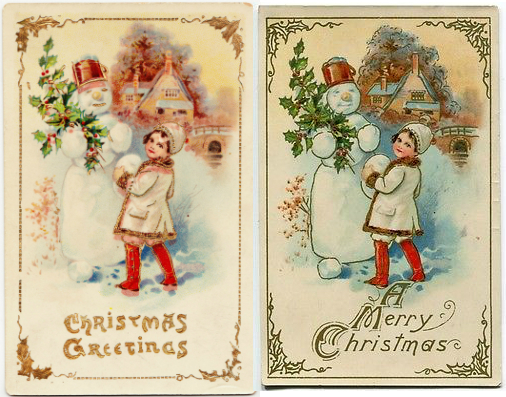 The short note states: "Wishing you a Merry Xmas and a Happy new year from Ellen." 1. Also on that date, Barbara Billingsley was born. And that's no jive.